Traffic backs up on the southbound Cage Blvd. just north of the Pharr-Reynosa International Bridge after an accident on the bridge closed north and southbound lanes Friday, March 2, 2018, in Pharr. 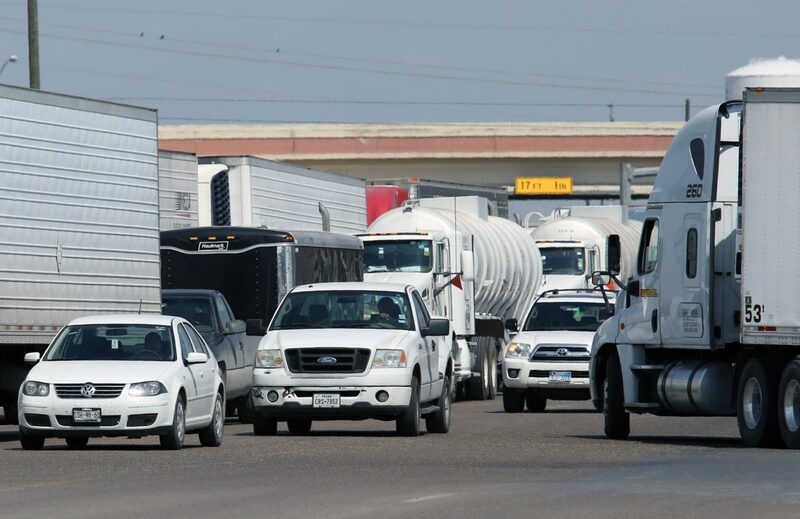 The Pharr-Reynosa International Bridge, the busiest produce port of entry in the United States, was closed to cars and delayed some trucks crossing in both directions Friday morning and into midday before reopening completely in the afternoon. A truck carrying an oversized piece of machinery became disabled on the bridge, which made the entire truck unable to move further, Bridge Director Luis Bazan said. No injuries were reported during the incident. 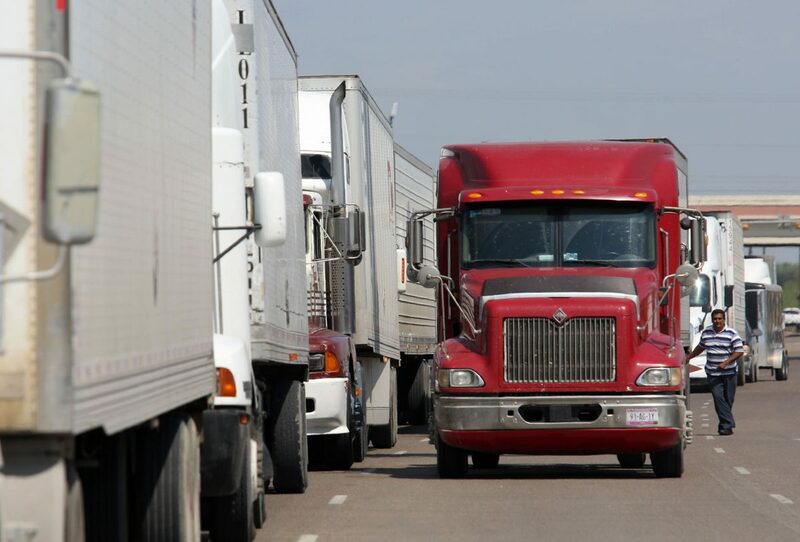 Mexican customs sent an email to those in the trade industry Friday morning reporting the traffic’s closure. A Customs and Border Protection spokesperson said the incident occurred on the Mexican side of the bridge. Truck traffic remained open all day, Bazan said, despite some lines of trucks being spotted at the bridge. Car traffic was backed up the entirety of the bridge closing for several hours. A closed gate prevents cars from entering the south bound lanes of the Pharr-Reynosa International Bridge following an accident that closed north and south bound traffic Friday, March 2, 2018, in Pharr. Commercial truck traffic backs up on the southbound Cage Blvd. just north of the Pharr-Reynosa International Bridge after an accident on the bridge closed north and southbound lanes Friday, March 2, 2018, in Pharr. The Pharr bridge handled 65,516 car crossings and 46,367 truck crossings in December 2017. 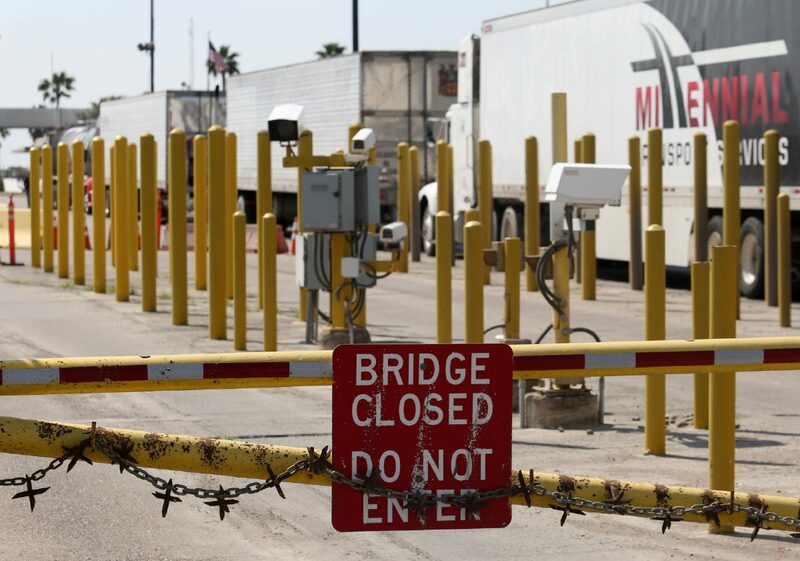 Hidalgo County has five border ports of entry with the Hidalgo-Reynosa International Bridge and Donna-Rio Bravo International Bridge being the closest alternatives to the Pharr bridge.